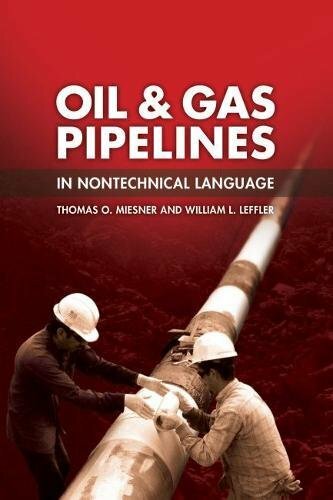 Oil & Gas Pipelines in Nontechnical Language examines the processes, techniques, equipment, and facilities used to transport liquids such as refined products, crude oil, natural gas, and natural gas liquids through cross-country pipelines. Topics include the importance of the pipeline infrastructure; planning, designing, constructing, operating, and maintaining pipelines; regulatory requirements; and the challenges for the future. Special emphasis is included on control and leak detection systems as well as emerging technologies and systems to ensure safe and environmentally sound operation. Thorough but easy to read, this text is useful for anyone who wants to learn about pipelines, from petroleum industry newcomers and students to personnel in related arenas such as legal, accounting, financial, government, and others. Descriptive photos, charts, and tables for easy comprehension. If you have any questions about this product by PennWell Corp., contact us by completing and submitting the form below. If you are looking for a specif part number, please include it with your message.